Delivering immediate access to remote specialists results in 90% patient compliance to follow-up pediatrics appointments. 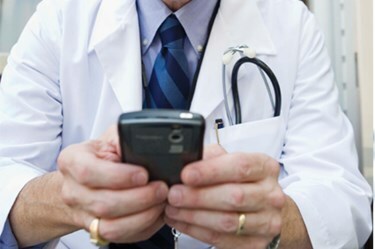 The Miller School of Medicine at the University of Miami is enhancing the quality of the service it provides uninsured children through the Miller School of Medicine’s Pediatric Mobile Clinic (UMPMC) by utilizing technological support from AMD Global Telemedicine. The UMPMC will add the Portable TeleClinic from AMD Global Telemedicine to its offerings. The Portable TeleClinic includes an integrated tablet PC, a CAT5 connection, and industrial-grade powered USB ports. It can be customized with encounter management software and medical devices for a clinical exam. The Portable TeleClinic includes a built-in HD webcam and can be integrated with AGNES Interactive, the web-based telemedicine software from AMD Global that enables healthcare providers to capture and share medical device data, exchange documents and medical images, and participate in live video conferences. AMD Global’s TeleClinic includes an otoscope, a stethoscope, and a 12-lead ECG. Nearly 3,000 uninsured children receive care from the UMPMC every year, according to the news release. The UMPMC provides well visits, sports physicals, immunizations, management of chronic conditions, urgent care, mental health, and social work. Specialty care is available in dermatology, cardiology, nutrition, and, starting next month, obesity management. The service is supported by the Children’s Health Fund, the Verizon Foundation, and the Florida Department of Health. AMD Global Telemedicine provides numerous solutions for hospitals, community clinics, school-based health centers, and more. They offer telemedicine carts and systems as well as related management software, devices, and equipment. The company also features a “Program Design Group,” which can develop and implement telemedicine programs for institutions.